With 2014 underway and All-New Marvel Now titles set to start hitting the store shelves this week I bring to you the 5 titles from this second wave of Marvel Now releases I am most anticipating in the upcoming months. 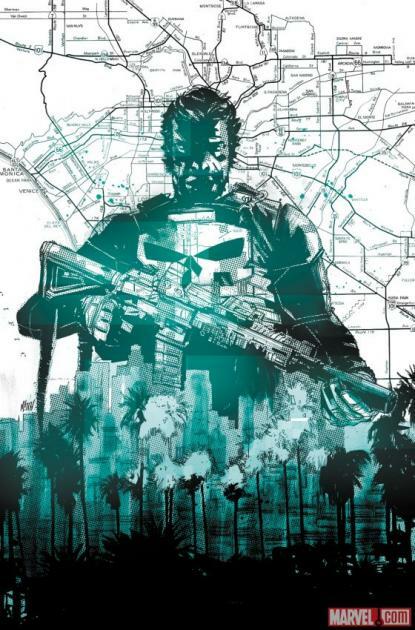 Punisher: By far the title I’m most looking forward to in the second wave of Marvel Now releases is the Punisher. I still can’t believe Marvel went as long as it has without my favorite vigilante having a monthly title. Before you say it, Thunderbolts does not count as a Punisher book! This new series launches in February and is brought to us by writer Nathan Edmondson and illustrator Mitch Gerard. This is the very same creative team that gave us Image Comic’s modern military tale, The Activity. Not only is The Activity a great read but it also gives me the confidence that this team has the military and tactical knowledge to handle Frank Castle’s war on crime. You can really tell that they put a ton of research into their work which will really distinguish this rendition of the Punisher from past portrayals of the character. They’ve also announced a nice twist I’m looking forward to, the series will be set in LA! Punisher has always fought his battles in New York City so it’ll be a fresh look to see him in sunny Los Angeles. Ms Marvel: This one has the potential to be a real game changer in the comic book industry. 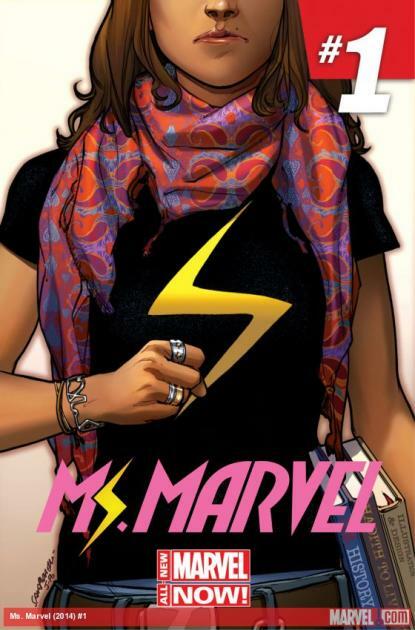 This latest incarnation of Ms. Marvel will be portrayed by a young Muslim woman, Kamala Khan. It’s brought to us by writer G. Willow Wilson and illustrator Adrian Alphona. Kamala will be the first ever Muslim character to get her own ongoing solo series at Marvel. I for one applaud Marvel for going this route. It’s really about time we get more diversity in mainstream comic books. The story will centre on a teenage Kamala coming to grips with her new found powers and dealing with the challenge of juggling her conservative parents with adolescent life. If this series does well hopefully the industry will take notice and offer us more leading characters with various ethnic and religious backgrounds. This one is slated for a February release. 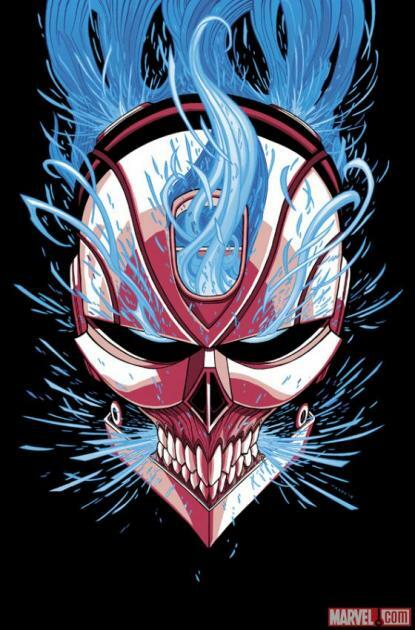 All-New Ghost Rider: This latest version of the Spirit of Vengeance is brought to us by writer Felipe Smith and penciller Tradd Moore. It seems like a few years since we’ve had a monthly Ghost Rider comic on the stands and even longer that we’ve had an enjoyable or relevant version of this classic character. I’m not all that familiar with the writer but Tradd is the illustrator from Image Comic’s Luther Strode so we know he can handle drawing a vengeful tale. The one facet of the story I’m a bit apprehensive about is our protagonist will be serving justice in some sort of muscle car instead of his trademark motorcycle. The series is slated to begin in March. 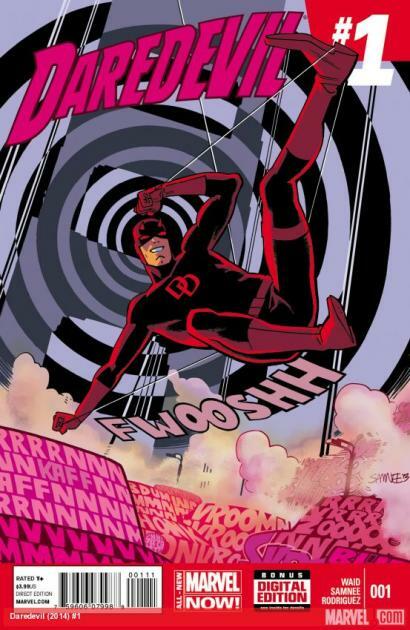 Daredevil: I was pretty bummed when it was announced that my favorite series, Daredevil, was being cancelled. My sorrow quickly waned when a few days later I found out the series was only undergoing a relaunch and not a true cancelation. In fact the same creative team of Mark Waid and Chris Samnee was even staying together. The reason for the relaunch besides the obvious sales of a new #1 issue has to do with our horned hero moving to San Fran. The team along with Marvel thought it was important to make a clear distinction of this direction the book would be taking. Yes it’s obviously a publicity stunt in renumbering but I for one am relieved that my favorite book will continue to come out monthly with the creative team intact. It’s set to hit stands in March. 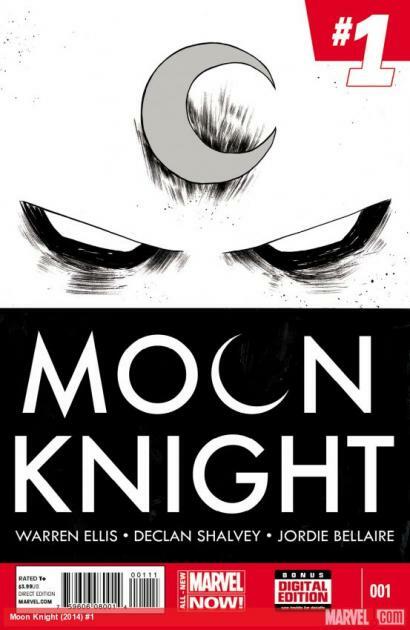 Moon Knight: With Punisher and Daredevil leaving NYC what better time for Marc Spector to return and battle the NYC underworld?! Moon Knight is one of those characters I’ve never really got into but have always been interested in. This series presents the perfect opportunity to finally indulge in this hero. It’s even more enticing by the fact that it will be written by one of my favorite authors, Warren Ellis. The art will be handled by the team of Declan Shalvey and superstar colorist Jordie Bellaire. The series kicks off in March. Tell us what you are looking forward to in the comment section below. This Blog is incredible, and I never observed a Blog this way. Dissertation help uk | DissertationTime I truly be appreciative for you work and Thanks for giving us an awesome Platform to impart data's to others. The essence of a dissertation is critical thinking, not experimental data. Uk dissertation writing service/Get dissertation Analysis and concepts form the heart of the work. Awesome marvel website list that marvel fans like me adores and looking forward to checking our soon. No wonder students via Grademiners can't get enough of their Marvel figures.